New Delhi has a population of 17 million. 8 million of these people live in poverty in slums like Jehangipuri. Residents like those below try hard to keep their environment clean, but even in the dry season, open sewers overflow, spilling raw effluent into the streets. A lack of toilets means that 70% of defecation is in the open. Little wonder that diarrhoea is responsible for half of infant mortality. If you bear in mind that a fifth of all child mortality is in India you can see how simple improvements in housing and sanitation in India could lead to a significant drop in child deaths worldwide. Residents of Sarai North, a district of Jehangirpuri in North Delhi. 17 million people live in Delhi. 8 million of them live in slums like these. 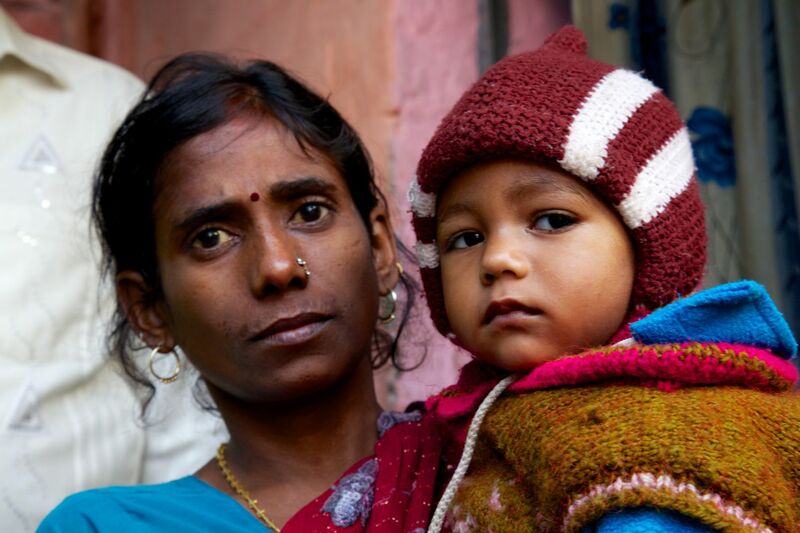 Bhagmati, and her son are residents of Sarai North, in Jehangipuri, North Delhi where Save the Children’s Mobile Health Clinic operates. An Anganwadi centre in Jahangipuri, a slum district of Northern Delhi, where children receive some education and nutritional supplements. Their mothers receive health advice, and breast-feeding mothers also receive supplements. There is meant to be one Anganwadi centre per 1000 population, the reality is very different. 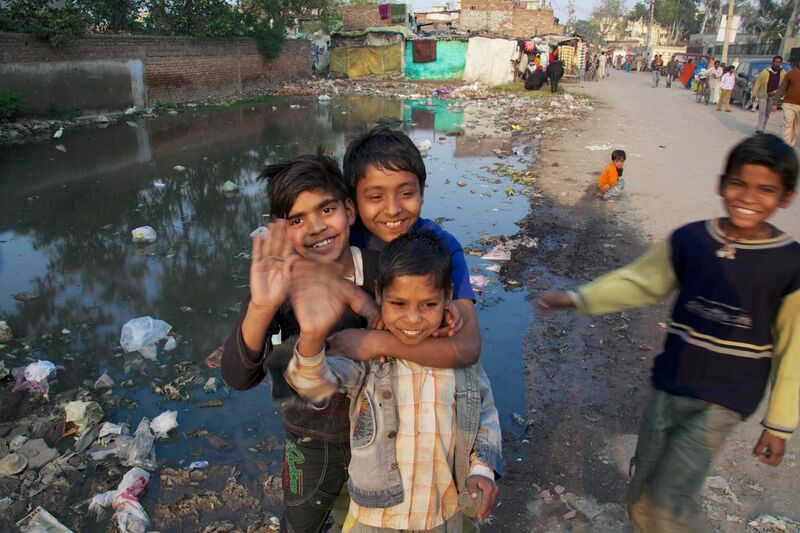 8 million of Delhi’s 17 million population live in slums like Jehangipuri. 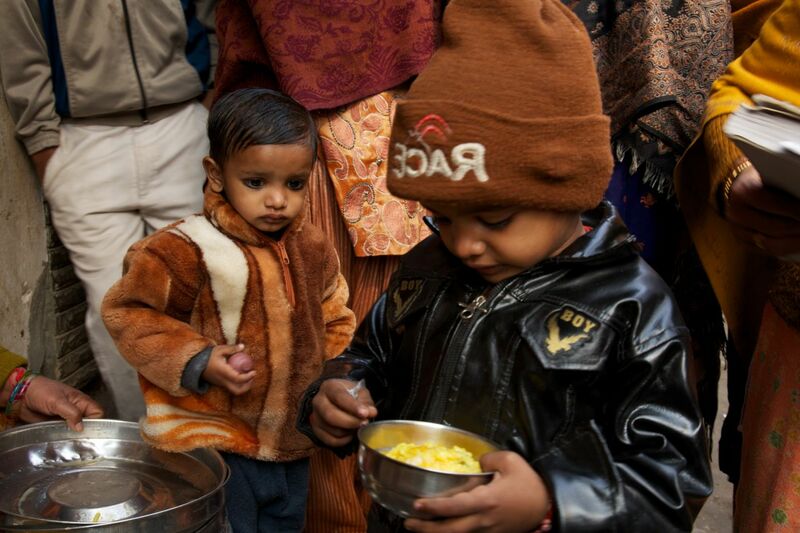 Local children receive nutritional supplements at an Anganwadi centre in Jahangipuri, a slum district of Northern Delhi. At centres like this across India children receive some education and nutritional supplements. Their mothers receive health advice, and breast-feeding mothers also receive supplements. There is meant to be one Anganwadi centre per 1000 population, the reality is very different. 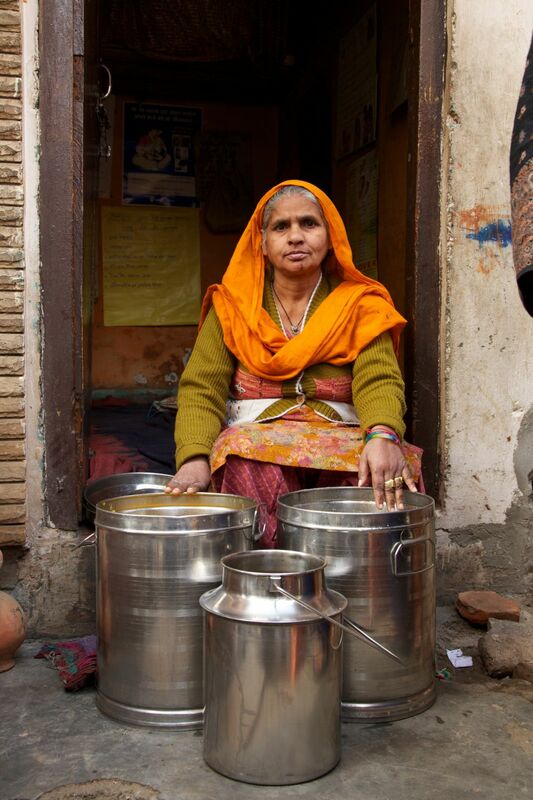 8 million of Delhi’s 17 million population live in slums like Jehangipuri. An Anganwadi worker, about to give nutritional supplements to local malnourished children at an Anganwadi centre in Jahangipuri, a slum district of Northern Delhi. 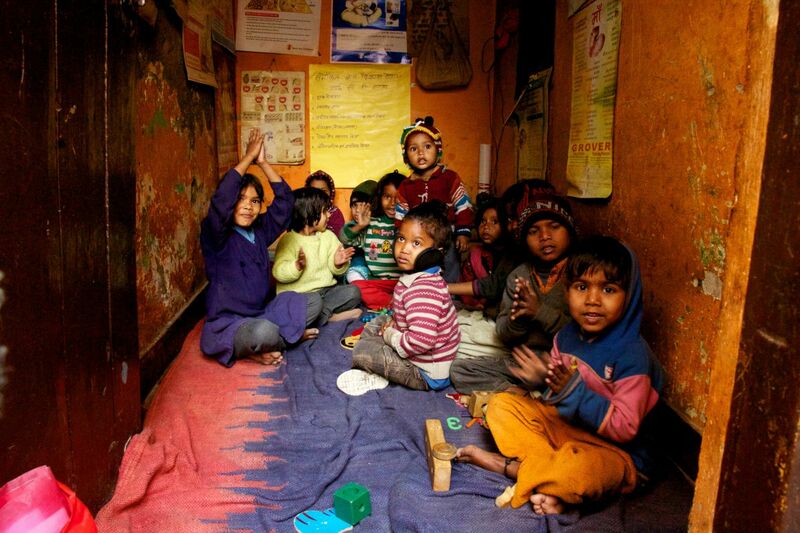 At centres like this across India children receive some education and nutritional supplements. Their mothers receive health advice, and breast-feeding mothers also receive supplements. There is meant to be one Anganwadi centre per 1000 population, the reality is very different. 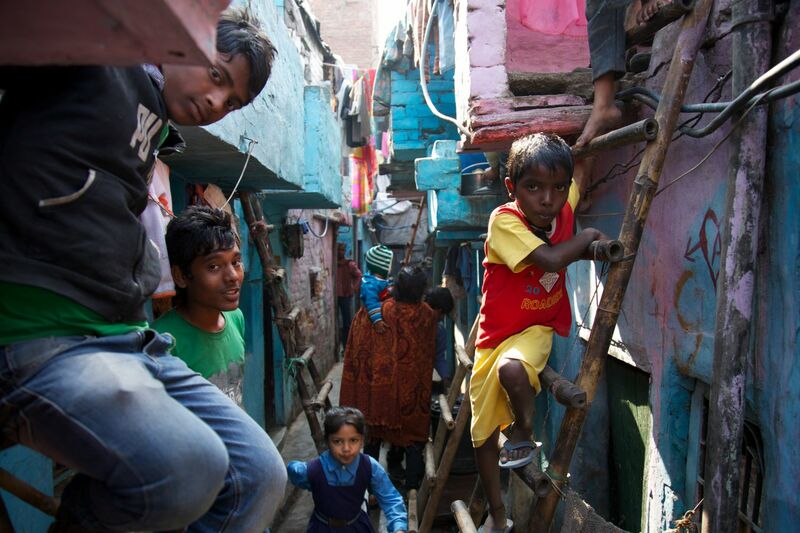 8 million of Delhi’s 17 million population live in slums like Jehangipuri. Usha (doesn’t know her age) & Sundari Devi (aged 1) from Lal Bagh, an area of Northern Delhi Sudari is one of the many children in Lal Bagh, a slum community in Northern Delhi, who were immunised against polio during a national drive to eradicate the disease. Usha said that she gets her baby immunised to keep her safe. 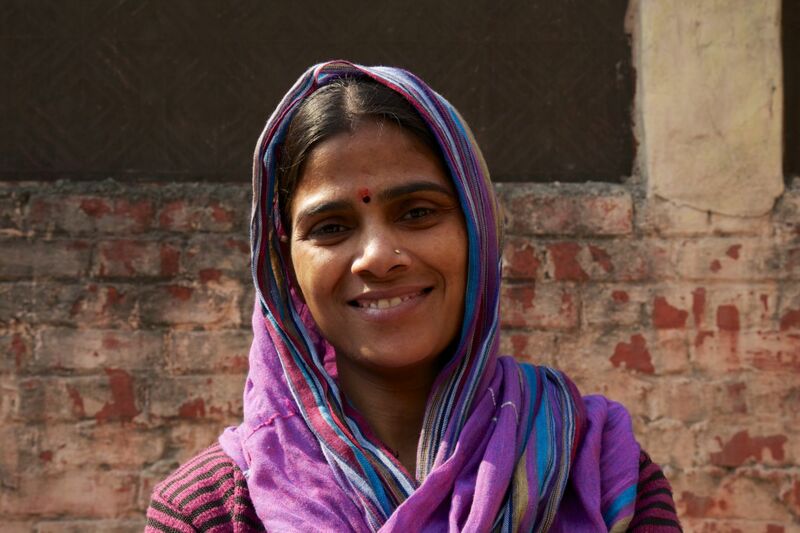 She moved to Delhi 2 months ago from a village in Uttar Pradesh in the hope for a better life. 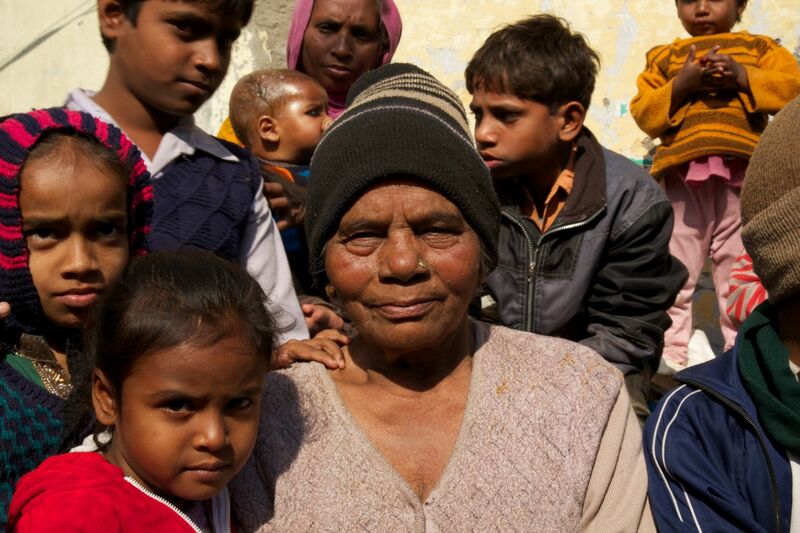 When Usha and her family moved to Delhi, an ASHA came to her house and took the family’s details so that they could be informed about the health services that are available. Usha ensured that Sundari was immunised in her village and is happy that she can receive further immunisations from the ASHAs. Thanks to Polio drives like this the disease has almost been eradicated from India. 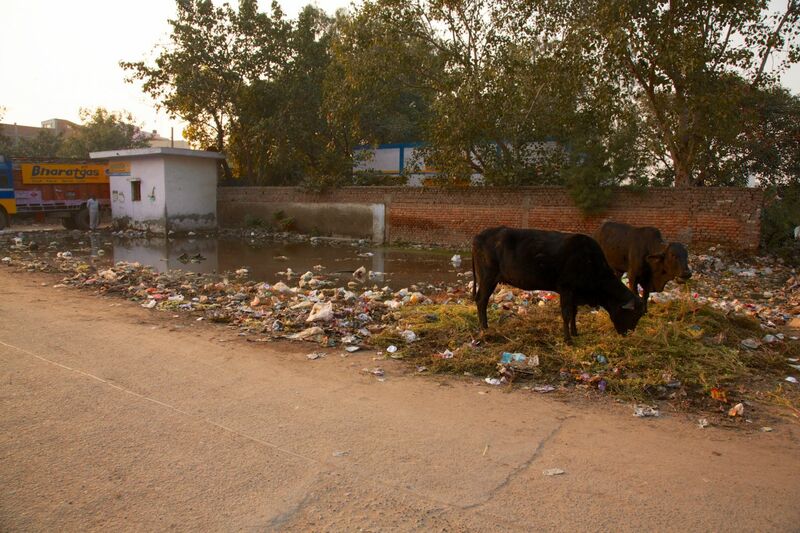 Poor sanitation in Jehangipuri, North Delhi. In areas like this 70% of defection is in open sewers. The majority of child deaths are from diarrhoea. 17 million people live in Delhi. 8 million of them live in slums like these. Filming with Save the Children, I spent 4 days in these slums with health volunteers who are working hard in their own communities to improve vital access to healthcare and better sanitation. Satyavati Singh is an ASHA (Accredited Social Health Activist) with 31 years experience working in her local community. She says that she loves to help local women and children stay healthy. Her Daughter Antima is a Community Health Volunteer. Durgesh Mavour, 33, is an Community Health Volunteer in her local community. She says that she loves to help local women and children stay healthy. Both work with Nav Srishti an NGO which is supported by Save the Children. Kirin Sahani, 20, plays a leading role in a Community Health & Sanitation Group that was initiated by Save the Children in 2010. The group of women and girls are supported by Community Health Volunteers and have already had some major achievements and brought about changes from the community. Through the group, Kiran has been going house to house to identify pregnant women and accompany them to the mobile health van for antenatal checks or put them in touch with the Community Health Volunteers who arrange immunisation, nutrition supplements and other services. 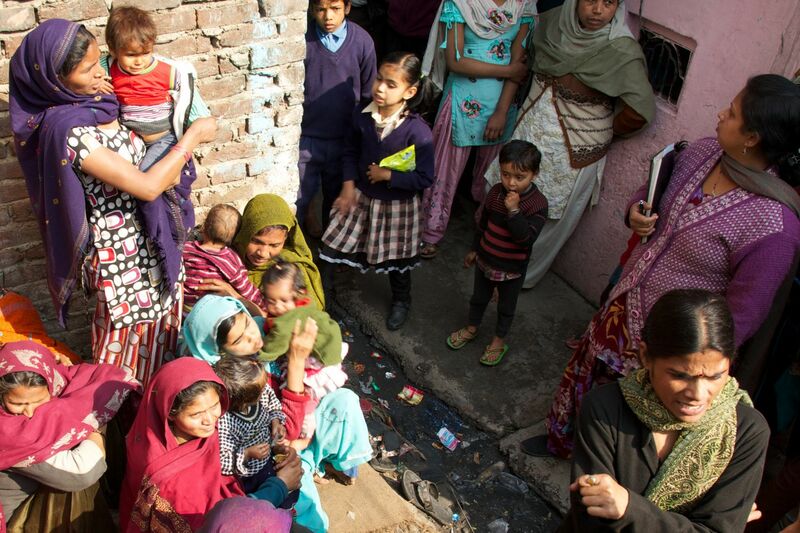 Below you can see Durgesh deliver a talk to mothers about sanitation in the only available space – next to an open sewer. With such an obvious need, Community Health Worker success stories are everywhere. Sudari is one of the many children in Lal Bagh, a slum community in Northern Delhi, who were immunised against polio during a national drive to eradicate the disease. 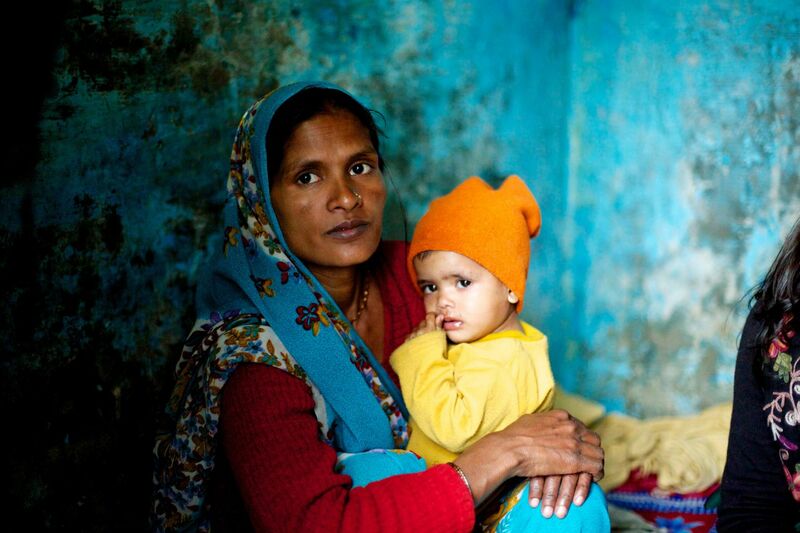 Usha said that she gets her baby immunised to keep her safe. She moved to Delhi 2 months ago from a village in Uttar Pradesh in the hope for a better life. 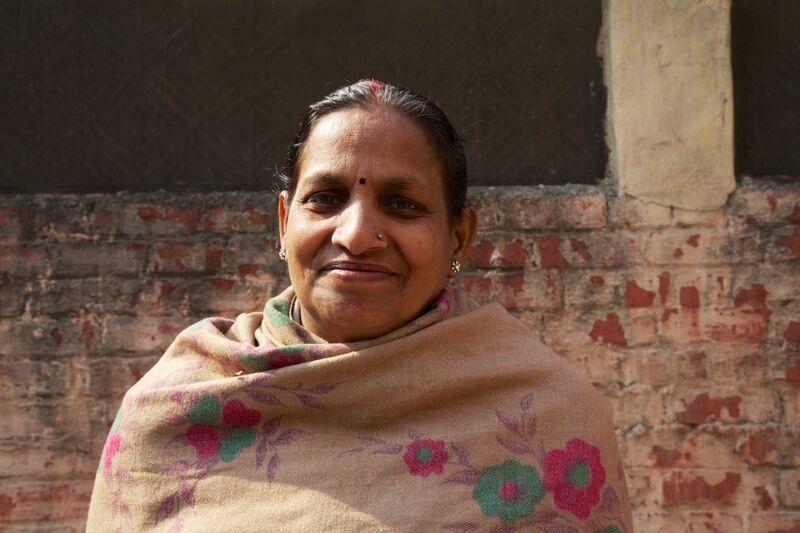 When Usha and her family moved to Delhi, an ASHA came to her house and took the family’s details so that they could be informed about the health services that are available. Usha ensured that Sundari was immunised in her village and is happy that she can receive further immunisations from the ASHAs. Thanks to Polio drives like this the disease has almost been eradicated from India. Gulecha 30, and her daughter, Minashi, 10mths in their home in Sarai North, a district of Jehangirpuri in North Delhi where she lives with her husband and 3 children. They pay 1000 rupees rent for there 2m x 3m room out of her husbands 5000 rupee salary. Both she and Minashi are malnourished, but she is thankful to their ASHA, Satyavati, for keeping them healthy. Minashi was the first of her children to receive a birth certificate. He is up to date on immunisations and all her children get supplements from the local Anganwadi. She said: “I am living with my husband in Sarai in B – 130. I have three children. 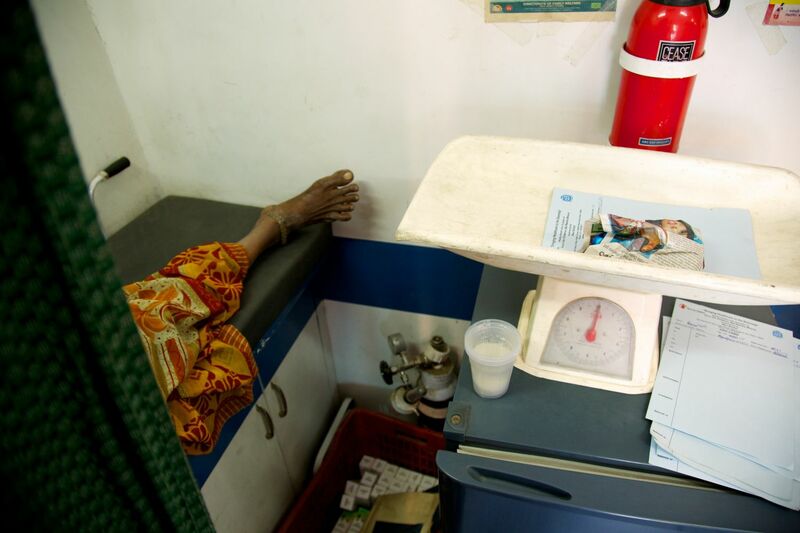 I received treatment from the Save the Children Mobile Health unit when I was pregnant. There the C.H.V looked after me very well and stayed with me for my delivery. I do not want any more children, but I am too weak to have sterilisation”. She doesn’t want more children and receives condoms from her, Save the Children Supported, health worker. 17 million people live in Delhi. 8 million of them live in slums like these. Laksmi Bai, 83, Traditional Birth attendant in the Lal bad Slum area of North Delhi. She has delivered 3 generations of children in her local community. 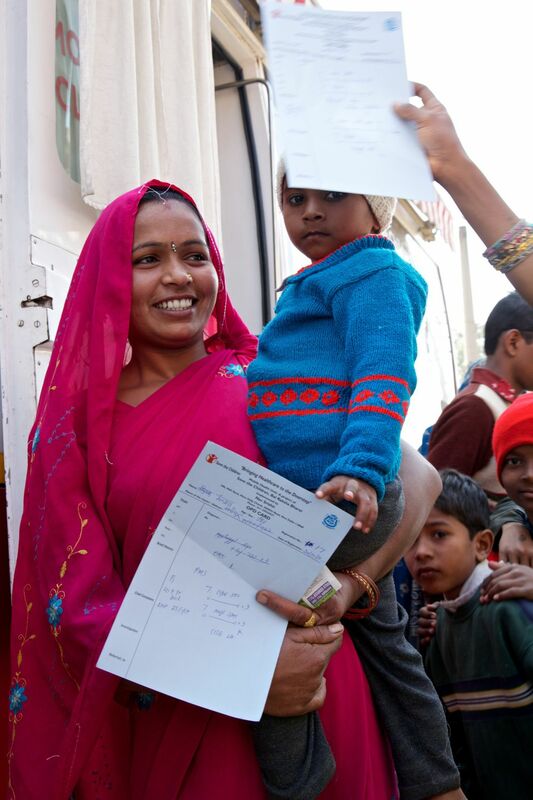 Residents of Jehangipuri slum district of North Delhi pick up a prescription from Save the Children’s mobile clinic. Gulecha 30, and her daughter, Minashi, 10mths in their home in Sarai North, a district of Jehangirpuri in North Delhi where she lives with her husband and 3 children. They pay 1000 rupees rent for there 2m x 3m room out of her husbands 5000 rupee salary. Both she and Minashi are malnourished, but she is thankful to their ASHA, Satyavati, for keeping them healthy. Minashi was the first of her children to receive a birth certificate. He is up to date on immunisations and all her children get supplements from the local Anganwadi (courtyard centre). She doesn’t want more children and receives condoms from her health worker. Laksmi Bai, 83, Traditional Birth attendant in the Lal bad Slum area of North Delhi. She has delivered 3 generations of children in her local community her daughter Reika is also a TBA. The energy and passion of the men and women working to improve their own communities was truly inspiring. Without the support of international organisations, like Save the Children, these people would not be able to do their life saving work.